Negotiating tight spots, a source maintains, isn’t the only thing Del. 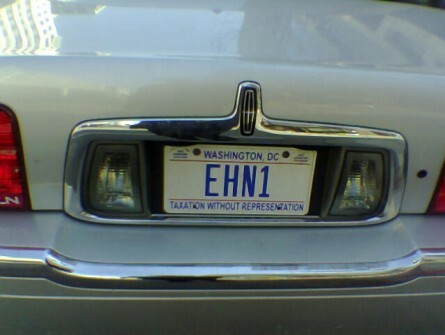 Eleanor Holmes Norton has trouble with when she’s behind the wheel. 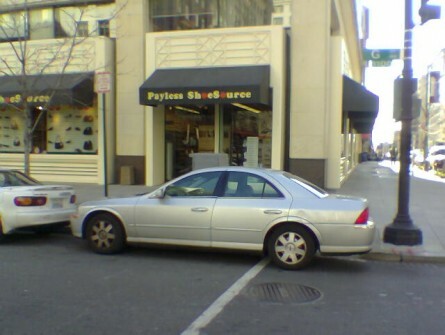 Perusing the now-viral video HOH posted of the 13-term lawmaker struggling to negotiate an angled Capitol Hill parking spot jarred the memory of a tipster who recalled a more appalling run-in that happened nearly a decade earlier. Per our source, a seemingly average winter day in 2006 took a turn for the worse once Norton showed up on the scene. “I was standing on the corner waiting to cross the street of 12th and G St. NW in DC when a car pulled up and parked right in front of me,” the tipster recounted via email. 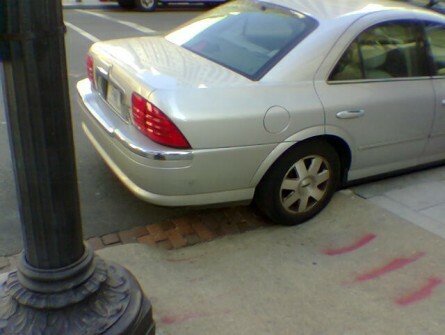 “The car didn&apos;t just block me from crossing, it completely blocked the handicap ramp,” the stunned observer said of the brazen motorist who nonchalantly mounted the curb that February morning. No longer able to continue along his intended path, the tipster stayed put until the driver emerged from the shoddily stationed vehicle. “I recognized the person as soon as she came out and started to walk across the street,” the onlooker stated. He was rather shocked when Norton popped out and hustled across the way. “As she continued walking several people recognized her and she waved back as she went inside the Hecht Co. which is now Macys,” the source said of the purported Presidents Day shopping trip (per the time stamp on the tipster’s vintage photos). What was even more bizarre, at least to the tipster, was that no one else seemed to bat an eyelash. 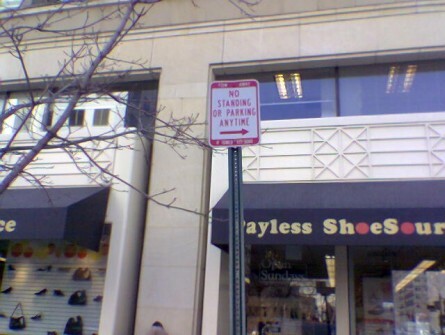 “There was a female meter/ticket person standing near me and when I looked at her she shrugged and shook her head and did nothing,” our source said of the disinterest paid to the glaringly obvious parking violation. The initial shock — “I remember thinking at first she must be just getting out of the car for a quick second, and then she just kept walking and then crossed over 12th street towards Hecht’s,” the tipster wrote — gave way to full-on rage as time marched on. The tipster attempted to call the offensive maneuver to the attention of local media back then, but doesn’t recall seeing a big stink about it anywhere. Which is why, even though it’s been nine years, he felt compelled to dig up the past in the hopes that Norton doesn’t get away with similar infractions in the future. A Norton spokesman declined to comment about her driving history. 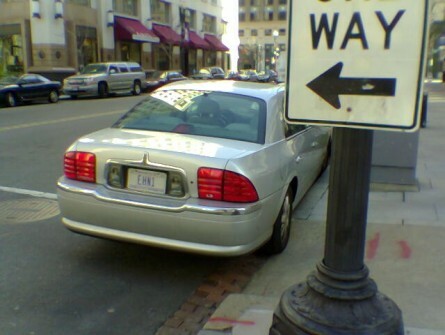 Related: Congresswoman Demonstrates the &apos;Worst Parking Job Ever&apos; The 114th: CQ Roll Call&apos;s Guide to the New Congress Get breaking news alerts and more from Roll Call in your inbox or on your iPhone.